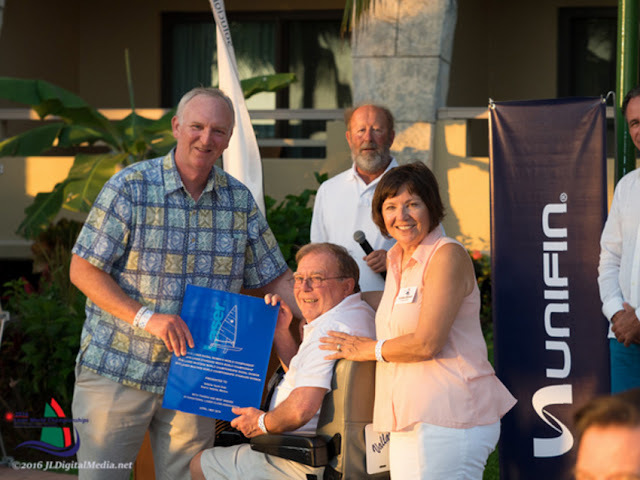 Nick Thompson recently won the Laser Worlds and said that this was the best event he has ever attended. Everyone who Pam and I talked with agreed, and what made it even more remarkable is that it was actually four Worlds held back-to-back. The organizers handled everything from a life-threatening medical emergency to cooling the hot pavement for tired barefoot sailors. Linda, Dan, Andy, and their team did a superb job and have shared how they did it and what they learned. The things that Pam and I feel made things extra special we've highlighted in green. · No egos. Everyone pitches in when needed. · Flexibility. Listen to feedback and make changes as necessary. "No" is okay, but openly explore all options first. · Understand that ILCA's documents are negotiable. They will work with you, but know that they are also negotiating! · Organizing committee members should be accessible to competitors and race committee. · Charter support personnel should be immediately reach-able during race days. · Having a floating "Chief Troubleshooter" is a great way to unload the event chair and identify a go-to person for issues and support. Choose him/her wisely! · Know the strengths and weaknesses of your team and be willing to make adjustments. · Very few volunteers are able to,or willing to commit to the entire series of events. Recognize that and plan on replacements. · Overly zealous volunteers can burn out quickly. Feed them, hydrate them, appreciate them and tell them that often. · Keep volunteer commitments to small segments of time to avoid burn out. · Parking competitor boats close to launching helps everyone. · It is not necessary to give everyone a designated spot for their boat. They will self-organize. · Put wash-down hoses far away from the launch area. Otherwise they clog up the launch/recovery area when they stop to wash down. · Having the accommodation on the same property is a win-win-win. Organizers save money on transportation, competitors like the extra time it gives them, and the host resort loves it and will give you bonuses for the business. · Having kids help with launching is one of the biggest helps to competitors and the race committee. Launches go smoothly and trollies are organized after launch. · Outsource when possible. Use a destination management company for things like airport transport. Pass registration information directly to them - don't hold and forward. Same for the hotel. · Keeping the same experienced race committee team throughout the event was a huge help and contributed to our success. · Jeff Martin's gas horn system worked very well. Loud horns are very important. Cannons don't work as well. · Using What-App to communicate between race committee members (and scoring office) was a huge success. Scoring was done as competitors were coming off the water, which allowed them to get protests and scoring inquiries submitted in a timely fashion. · Understand the limitations of your infrastructure (in our case, the ramp) and have a clear plan for dealing with it. Change the plan as feedback comes in. · Make sure medical support is close, and you know what you are going to do in the event of an emergency. · A flexible web site system that can be quickly changed is very useful. You need to be able to submit scoring for immediate publishing. · We added the registration spreadsheet to a database the allowed us to quickly create the badges for competitors, as well as the files for upload to the scoring system. · High speed internet is critical for the press - they will be uploading lots of video files. · Track web site traffic! It will help in your discussions with your sponsors when they ask if they got the exposure you promised. · Sailwave scoring system works fine. You don't have to use the ILCA recommended system (it's out of date now anyway). We can share our scoring files and processes. · Social media needs to be managed at the venue, not from a distant, outside service provider. · Make sure the committee boat is well stocked with spares and tools. 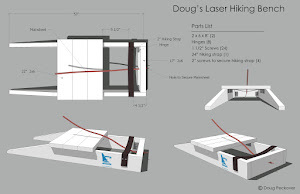 · Keep at least one support boat in reserve for backup and for running people and materials out to race area. · Pin and Signal boats don't have to be keelboats. It's negotiable. 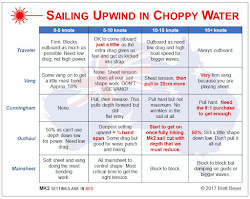 · Pin and signal boats need LOTS of anchor rope (at least 150 meters for the pin boat) and good anchors. · Keep an email list (or use a newsletter system) to allow email communication with all competitors and all volunteers. · The official bulletin board needs to be large, and doesn't need to be locked (but it does need to be covered). · Daily weather forecasts are useful to the race committee and competitors. · Using badges for identification of on-the-water status is much faster and easier than sign-in/sign-out, but it is more expensive. · Playing music during launch changes the whole attitude of the people who are launching boats. · With our hot weather, it was important to keep the ramp wet (to cool it) and to give out that last bottle of cold water. · Take care of the athletes. They are priority #1. Feed them, hydrate them, give them space to gather. · Keep opening ceremonies simple and fun; keep closing ceremonies simpler and more fun. The same applies to the mid-week social. 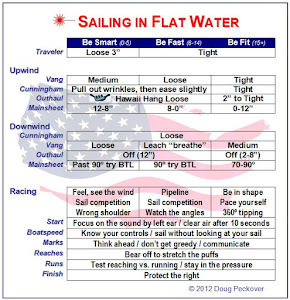 · Twitter from the water, including mark-rounding and other interest items. · Results on a monitor, rather than printed. Printing takes time and wastes a huge amount of paper. · Set up a weather station near the racing area. · This is a business and your relationship with local sponsors should be the same as any other sponsor. · Communicate with your sponsors. Let them know how their product/service is being advertised. Nice work, Pam & Doug! How refreshing to read an intelligent, straightforward "thank you" to the organizers. That is one of the amazing things about the sport - the amount of time and effort put in by the volunteers and the organizers who really do look after the competitors and sport. Thanks to all The competitors for understanding direction on The water by The safety team Which included The Port Captain of Nuevo Vallarta and The Mexican Navy.